JEFFREY FIORELLO, is a partner in the law firm of Fiorello, Puccio & Fiorello, LLC and has been engaged in the practice of law since 1997. Mr. Fiorello's areas of practice include Family Law Mediation and Family Law Litigation. Mr. Fiorello received his Juris Doctorate degree from Seton Hall University School of Law in 1997. He attended Rutgers University for his undergraduate studies, where he graduated with Honors with a Bachelor of Arts Degree in History and Political Science. Mr. Fiorello concentrates his practice in the area of Family Law Mediation, assisting parties in the amicable resolution of their issues concerning, Custody, Parenting Time, Spousal Support, Child Support, College Contributions, Distribution of Assets and Debts and related issues. In the past he has handled Family Law Litigation, domestic violence, civil litigation and appeals. He is involved in leadership positions in the New Jersey State Bar Association as well as the Passaic County Bar Association. Mr. Fiorello served as President of the Passaic County Bar Association (2011-2012). He continues to serve as a Trustee of that Association and serves as the Chairperson of its Family Law Section, and the Chairperson of its Continuing Legal Education Section. He previously served as the Chairperson of the Young Lawyers Section from 2000 - 2001 and as the Chairperson of the Activities and Social Committee for many years. He is a court-qualified Family Law Mediator. He also volunteers his time as a panelist for the Matrimonial Early Settlement Program in Passaic County. Mr. Fiorello is a trustee of the New Jersey State Bar Association (2015-Present), representing Passaic County. He also serves on the Legislative Committee of the New Jersey State Bar Association, and has previously served on the nominating committee. Mr. Fiorello is a member of the Family Law Executive Committee of the New Jersey State Bar Association, where he serves as the Co-Chairperson of their Legislative Sub-Committee. He is also and officer of the LBGT Section of the New Jersey State Bar Association. Mr. Fiorello served as a member of the District XI Ethics Committee (2013-2017). He is a graduate of the Justice Robert L. Clifford American Inn of Court (Civil) for the 1999 - 2001 Term. 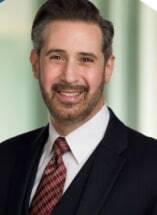 He is also a graduate of the 2001 -2003 term of the Northern New Jersey Family Law American Inn of Court (currently the Barry Croland Family Law American Inn of Court), where he later served as a Barrister. Mr. Fiorello has extensively lectured and presented at Seminars and continuing education programs on Family Law matters and has authored many articles on family law issues. Mr. Fiorello served as a Judicial Law Clerk to the Honorable Carole Weaver McCracken and the Honorable Ralph L. DeLuccia from 1997 -1998. Mr. Fiorello has been selected to the 2019 New Jersey Super Lawyers list published by Thomson Reuters in the area of Family Law. He has also been awarded the Professional Lawyer of the Year Award for Passaic County in 2014 given by the Commission of Professionalism in the Law. Mr. Fiorello has also received the award for Distinguished Practitioner of the Year in Passaic County for Family Law in 2015, given by the Passaic County Bar Association.